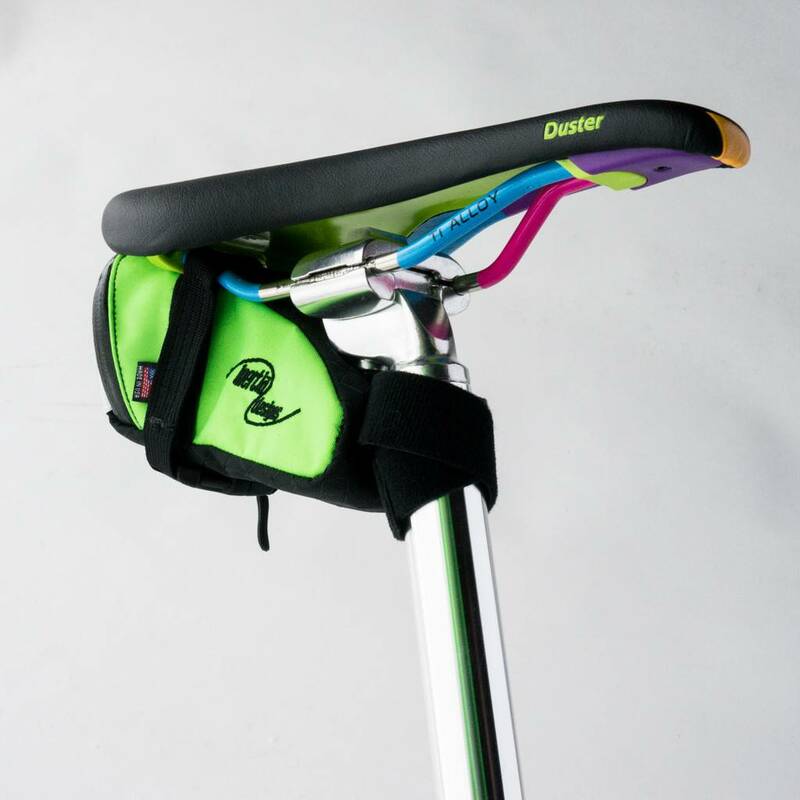 Inertia Pro Wedges are for riders who demand the best. 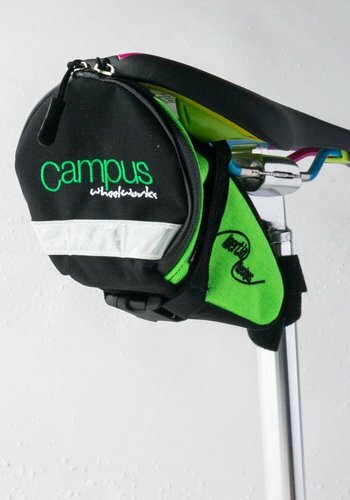 In addition to our standard bomb-proof construction and superior materials, all Pro Wedges have YKK Uretek water repellent zippers to keep water, dust and grime out or your gear. 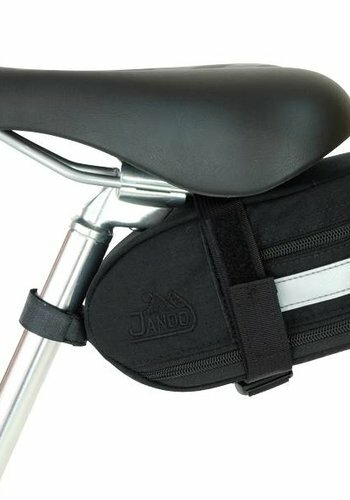 All bags have a side release buckle on the strap for positive attachment no matter how big the drop or long the climb. 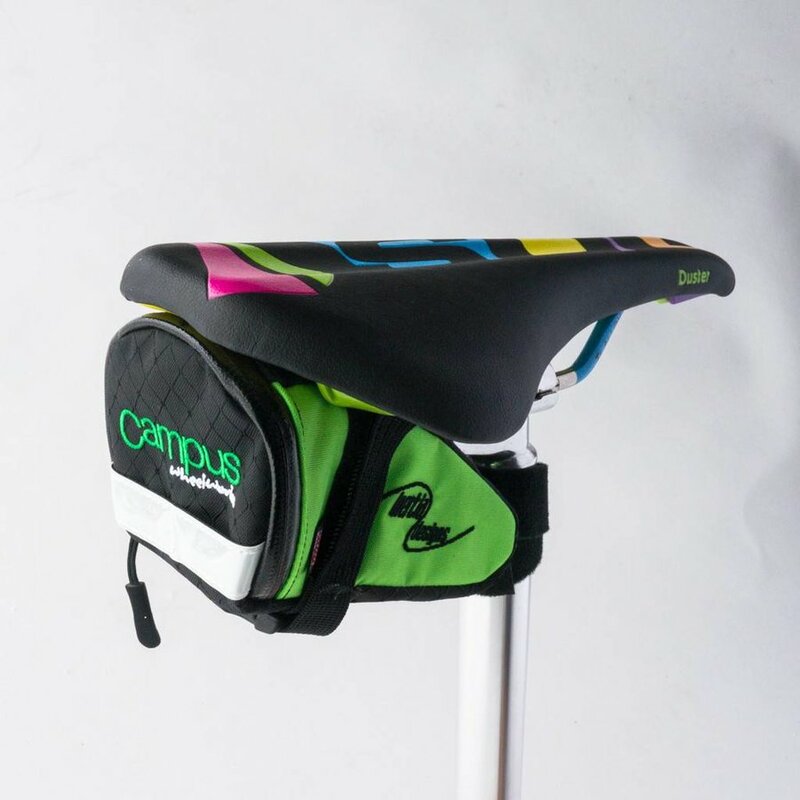 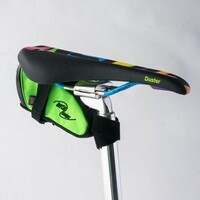 At the seat post we used One Wrap with molded hook and super soft loop to prevent snagging your shorts. 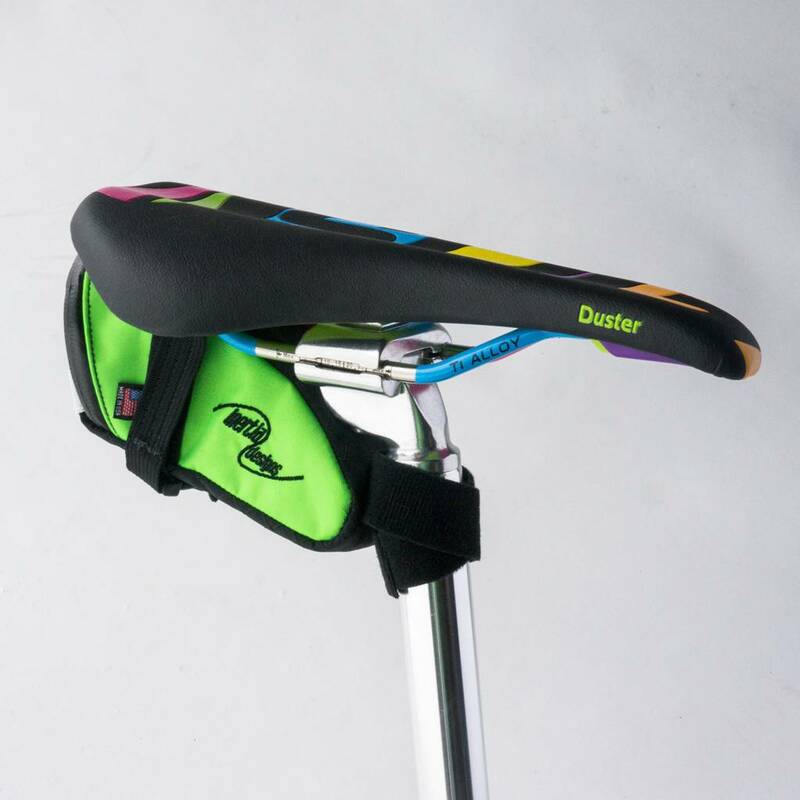 The bidirectional hook and loop can be wrapped around the seat post with the tail to the right or left as you prefer for a perfect fit. 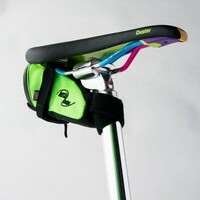 The reflective strips on all bags have added bar tacks for more stability when attaching a flasher. 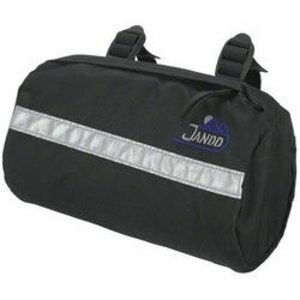 All bags also have two interior pockets one on the side for tire levers, etc., and on the back flap for cash, ID and keys. 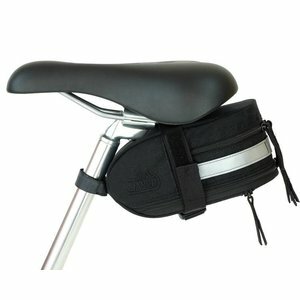 Ideal bag for either the handlebars or under your saddle. 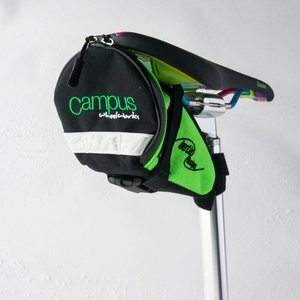 easy access to snacks, phone, maps, and everything else. 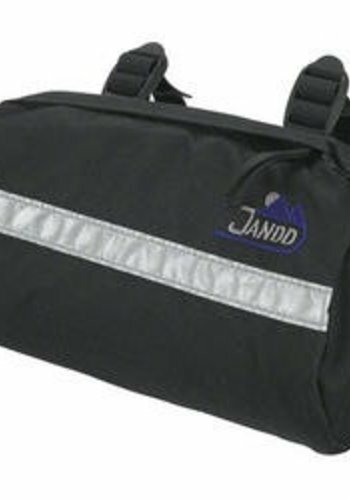 Ideal for carrying extra gear, tools, and supplies under your seat, and out of the way. 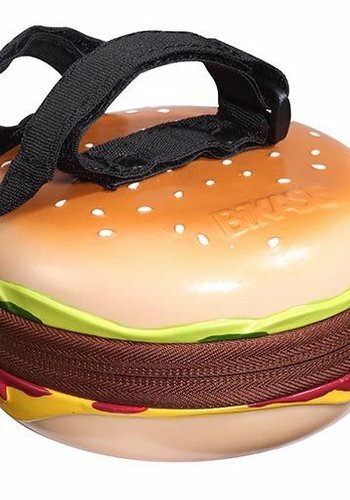 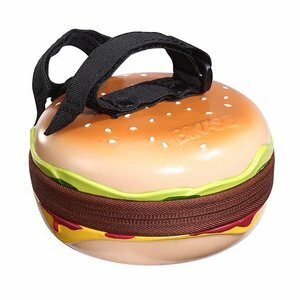 It's a cheeseburger saddle bag... what more could you want on your bike?